Suddenly, a cockroach flew from somewhere and sat on her. I wondered if this was the cockroach’s response to all the glory that was spoken about it! She started screaming out of fear. 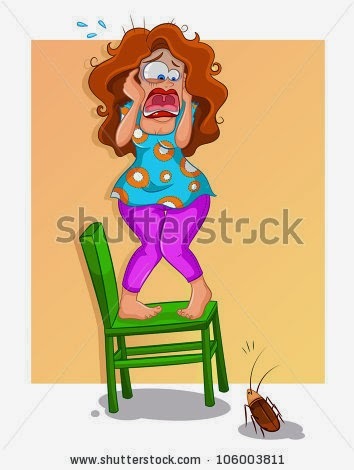 With panic stricken face and trembling voice, she started doing jumping, with both her hands desperately trying to get rid of the cockroach. Her reaction was contagious, as everyone in her group got cranky to what was happening. The lady finally managed to push the cockroach to another lady in the group. Now, it was the turn of the other lady in the group to continue the drama.